See earlier post, March For Our Lives in Washington, D.C. and around the nation (Updated with additional protests). Since the Feb. 14 shooting at Marjory Stoneman Douglas High School, demonstrations have sprung up on school campuses around the country. Layla Defibaugh, an eighth-grade student at Ingleside, said she wanted to participate in the walkout, but didn’t because of the threatened suspensions. 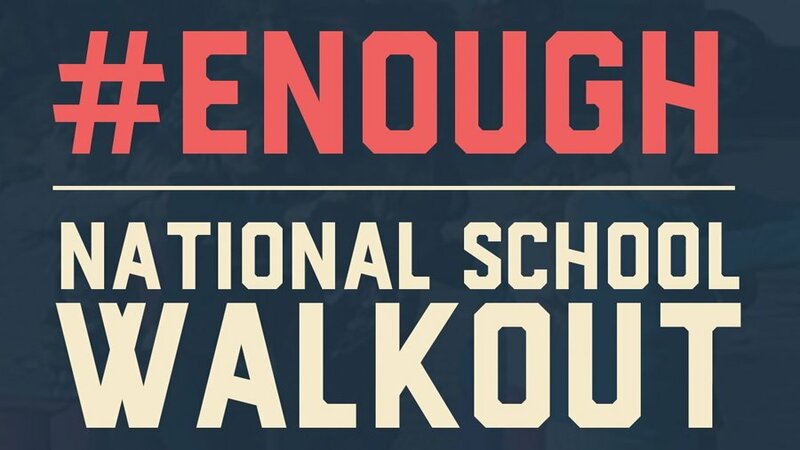 She does plan to join the Wednesday walkout, even it means getting suspended. See earlier post, Know your First Amendment rights for student walk outs for links to the ACLU training video and materials, and contact information. Some schools are taking a middle ground, neither encouraging nor discouraging students from participating. But for middle-school and high-school administrators, figuring out how to allow the demonstrations during school hours has proven challenging. Florida’s nickname has long been the “Gunshine State” because of its plethora of firearms and loose gun restrictions. On Friday, in a dramatic turnaround in one of the most gun-friendly states in America, Gov. Rick Scott signed into law an array of gun limits that included raising the minimum age to purchase a firearm to 21 and extending the waiting period to three days. The law imposes new restrictions on firearm purchases and the possession of “bump stocks,” funds more school police officers and mental health services, broadens law enforcement’s power to seize weapons, and allows certain staff members to carry guns in schools (a concession to the N.R.A.). It was the most aggressive action on gun control taken in the state in decades and the first time Mr. Scott, who had an A-plus rating from the National Rifle Association, had broken so significantly from the group. Of course, before the ink was even dry on Governor Scott’s signature on the bill, the lobbyist organization for the merchants of death, the N.R.A., filed a lawsuit in Federal District Court, arguing that Florida’s age restriction was “a blanket ban” that violated the Second Amendment, as well as the 14th Amendment’s guarantee of equal protection. This is a novel theory that seeks to expand well beyond Justice Antonin Scalia’s sophistry and revisionist history in crafting his seminal “gun rights” opinion in District of Columbia v. Heller. Scalia went out of his way to emphasize that “Like most rights, the right secured by the Second Amendment is not unlimited,” and specifically said there is no constituional right to an assault rifle. Democratic Arizona lawmakers and activists are calling on the Republican-controlled Legislature to act on stalled legislation designed to curb gun violence. Those attending Monday’s news conference at the state Capitol include an organizer of the planned March 24 “March for Our Lives” rally in Phoenix. The march was sparked by the Feb. 14 school shooting in Florida that killed 17 students and staff. Four Democratic gun bills haven’t received hearings during this year’s legislation session. They include proposals for universal background checks, a ban on bump stock devices and proposals to remove guns from domestic violence offenders and the mentally ill.
Republican Gov. Doug Ducey is working on school safety proposals but has not sought action on the stalled bills. 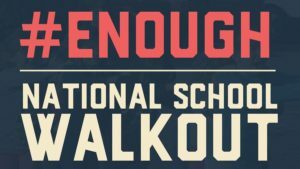 Rumor has it that Governor Ducey will announce his school safety proposals this month, perhaps as early as this week, to try to get out in front of the upcoming student protests. I would not expect him to go as far as the Florida bill, however. Republican legislators in Arizona generally oppose any gun control legislation.